Hello lovely readers, if you read my current reading list post you will have seen this book was one of the three I wanted to read (two down, one to go by the way). 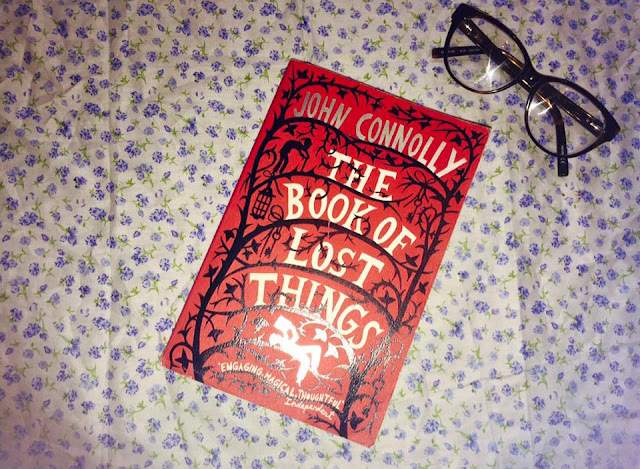 So today I thought I would share with you my thoughts on The Book of Lost Things by John Connolly. First of all I guess I should explain what the book is about. David is a 12 year old boy whose mother passes away, David struggles to adjust to his new life with his new step mother and half brother. So David isolates himself and reads the books his mother left him. One night David hears his mother's voice calling for him, after following the voice David ends up in a strange land where all the fairytale characters are very much real and alive. So when I read what the book was about I was worried that it would be aimed at younger people. It's not. The story is pretty dark in places (which I love) and there are some pretty graphic scenes, that's not a criticism just an observation. I absolutely loved the storyline, it was really gripping and moving in some places. I'm a huge fan of fairy tales even at 23 and seeing them written in a different way was so interesting. The messages behind the story were really beautiful too, John Connolly really did a good job of putting great life lessons into the story. John Connolly's writing is amazing, he is able to make you see all the different aspects of his lead character David. So that you are able to feel sorry for him, get angry at him, empathise with him, etc. His writing is incredibly moving and poetic and times. The Book of Lost Things made me feel very emotion possible. It's a really moving book which you might not expect after you first read what the story is about. I loved reading The Book of Lost Things, I must have finished it in about three days. It's definitely one of those books that is hard to put down. If you like fantasy and fairy tales I recommend you read The Book of Lost Things, you won't regret it. 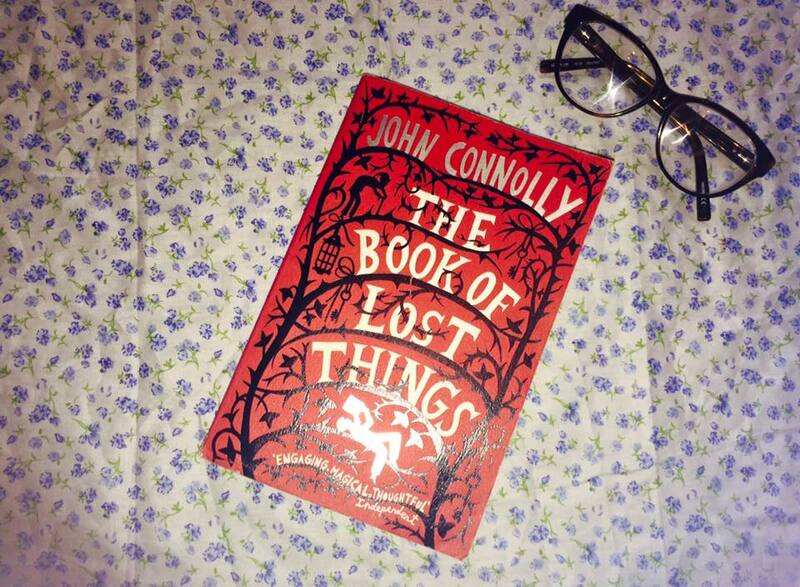 I hoped you enjoyed reading my thoughts on The Book of Lost Things, have you ever read this book? What books have you enjoyed recently? Same! Fantasy definitely is my favourite genre. You should, I really recommend it! Yes definitely read it Kim I think you'll love it! I've wanted to read The Aviary for a while now, must do soon. Thank you for stopping by my beautiful friend I hope everything is great with you!